We love our babies from the moment they’re born. When they are born healthy, we rejoice. World Prematurity Day reminds us of babies born too early and the health challenges they can face as they grow up. World Prematurity Day, sponsored by the March of Dimes, occurs annually on November 17. It’s the one day of the year totally focused on lifesaving research, ongoing and breakthrough treatments, education, and available community resources about the impact of premature births. These little beings need loads of love and World Prematurity Day is a chance to show it in so many ways. ​"Strong Start," a collaboration with the U.S. Department of Health and Human Services (HHS) and a national group of obstetricians and gynecologists, supported the March of Dimes' campaign urging the public to avoid scheduling a medically unnecessary delivery prior to 39 weeks of pregnancy. ​The Preemie Act, launched by the March of Dimes, became law in 2006 — requesting federal support for lifesaving research and education about babies born too early. ​The decade reflected many achievements in successfully treating premature infants born as early as 23 weeks and weighing just over a pound. ​This decade saw many family-centered changes in how to help premature babies — including parental rooming-in policies in hospitals, and older children allowing to help in the infants' care. Many people have never seen a premature baby. You can make a difference by posting pictures of preemies on Facebook, Twitter, or Instagram. It may be unnerving to see such tiny human beings with tubes coming out of their mouths or in incubators. But it's an important way to put the problem of premature babies front and center. Your pic could just start a movement. Many organizations sponsor care packages for preemies. These gifts contain tiny diapers, bottles, blankets, and in many cases, doll-sized clothes. Some hospitals also provide these packages without charge to families with babies weighing less than three pounds. Or, just go out and buy some things and share them with a new mother. Purple is the official color for National World Prematurity Day. Wear your purple ribbon pin or even get a purple ribbon tattoo. Light your home or office with a purple bulb. Whatever way you can show your support empowers the families who are struggling to keep a premature baby alive. It's a way to do your part to educate and sensitize the community to this unfortunate problem that can affect any one of us. ​Did you know that the brain, lungs and other organs don't develop until the last few weeks of pregnancy? ​Each year one in ten American births result in infant mortality. ​Many famous historical figures were born prematurely including physicist Albert Einstein, writer Mark Twain, political leader Winston Churchill, French author Victor Hugo, the emperor Napoleon, and scientist Isaac Newton. ​One interesting thing happens to mothers who deliver premature babies; the milk mothers produce contains special properties including extra minerals, fat, and proteins that these tiny infants need. ​Boys are more likely than girls to be born prematurely due to a outsized risk of high blood pressure and placenta abnormalities in the mothers. 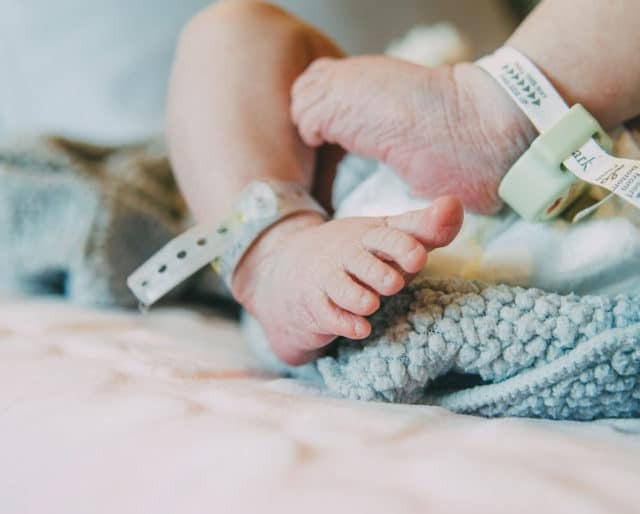 Premature births are increasing in the U.S.
Every year the March of Dimes issues a report card that assesses the efforts to reduce premature births in the U.S. Unfortunately, our country is losing ground in this battle for healthy babies. In fact, our overall grade is a "C" — showing a widening gulf of differences in survival rates depending on racial background and socioeconomic conditions of the mothers. The best grades go to states in the west and northwest and failing grades go to states in the southwest and southeast. When we speak in general terms about premature babies, we tend to dismiss the variety of premature births that occur. A late preterm baby is born sometime between 34 and 37 weeks of a pregnancy. An actual preemie is a still developing infant born just under 32 weeks of gestation. The tiniest of all babies is a micro-preemie, born at under 25 weeks into a pregnancy and weighing about a pound. According to the March of Dimes, the number one global cause of death in children under five years old is premature births. When infants are born prematurely, they can face health challenges affecting their brain, lungs, hearing or vision. Risk factors include being African-American, a teen mother, a woman over 35, and coming from a low-income background. World Prematurity Day raises our consciousness about these infants so that we provide better research for healthier pregnancies and babies.